This is Timur Bekmambetov’s film, who seemed already like to cooperate with Morgan Freeman, as it is not their first film together. 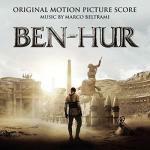 Previous Ben Hur of 1959 has collected 11 Oscars and as of the time, only three films hold this record – already mentioned one, Titanic of 1998 and The Lord of the Rings: The Return of the King. We shall not expect this version of Ben Hur wins at least a half of these rewards, but we should expect this film is to collect multiple budgets, at least. After 1 week of the run, it gained only 23 million vs. USD 100 million budget, though. Mr. Bekmambetov is the most successful director from the post-Soviet territory who entered the world of cinema making in the USA and continues with it pretty successfully. He had already worked with Angeline Jolie (in 2008’s Wanted, which is still the most money-collecting film of Mr. Bekmambetov as of 2016, raising 341 million); Elijah Wood and Tim Burton (in ‘9’ of 2009) and many others not so big-named people of the industry. He also made a huge success with his ‘Unfriended’ thriller-horror, when having only USD 1 M budget it gained USD 63 M. If he loses the box office of this film, the industry may turn around from him.